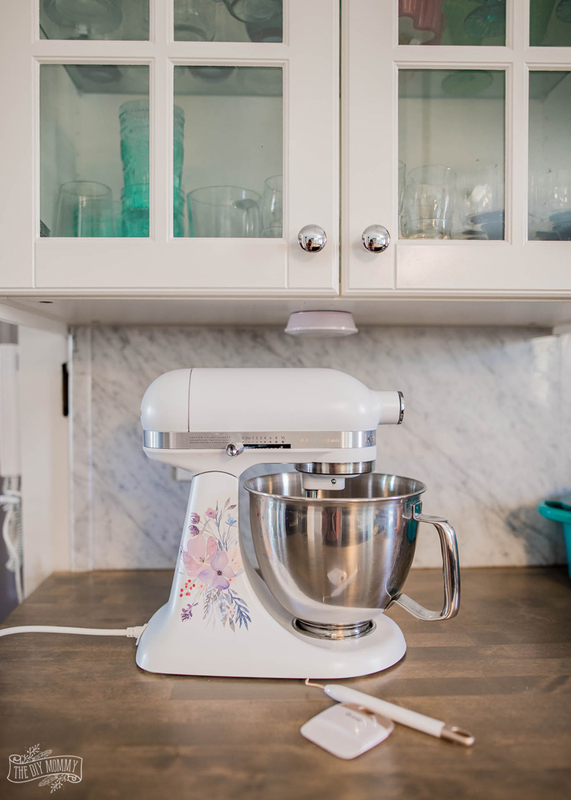 Make your stand mixer look unique and totally you with a custom print & cut watercolor decal! 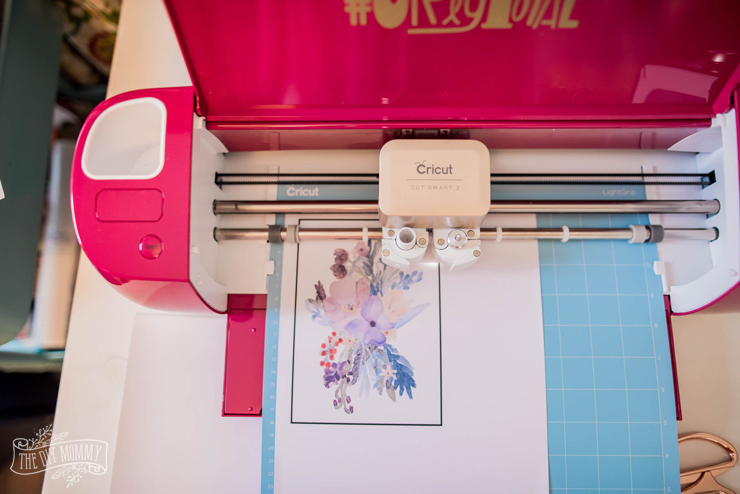 … the Cricut® Explore Air™ 2, Wild Rose Edition! This new, vibrant colour of Explore Air is available exclusively at JOANN, so it’s for all of my American crafty friends! And my analytics tell me that over 80% of my readers are from the USA, so I’m really excited to share this with you all today. 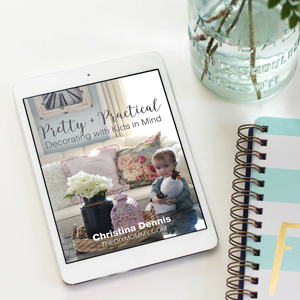 This biggest JOANN bundle EVER includes 40 pieces of vinyl, including 10 pieces each of permanent vinyl, removable vinyl, new shimmer vinyl and printable vinyl, so you can personalize right out of the box and be your own designer if you want to be. 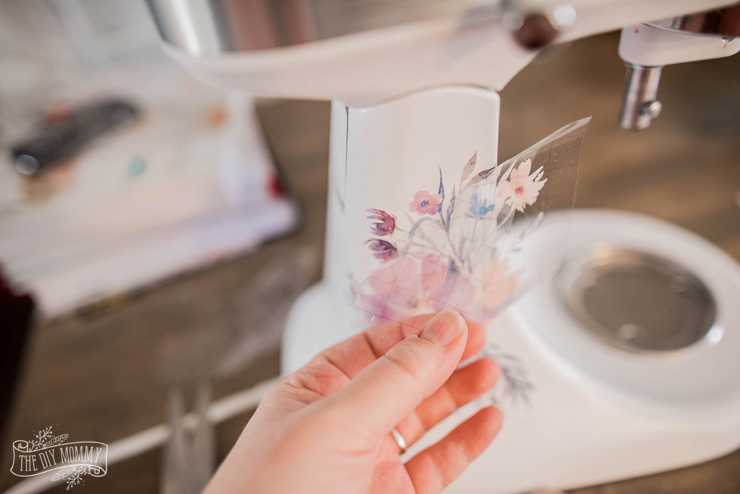 The Explore Air 2 cuts over 100 materials including cardstock, vinyl and iron-on and it’s been so much fun to play with – there are so many creative opportunities! 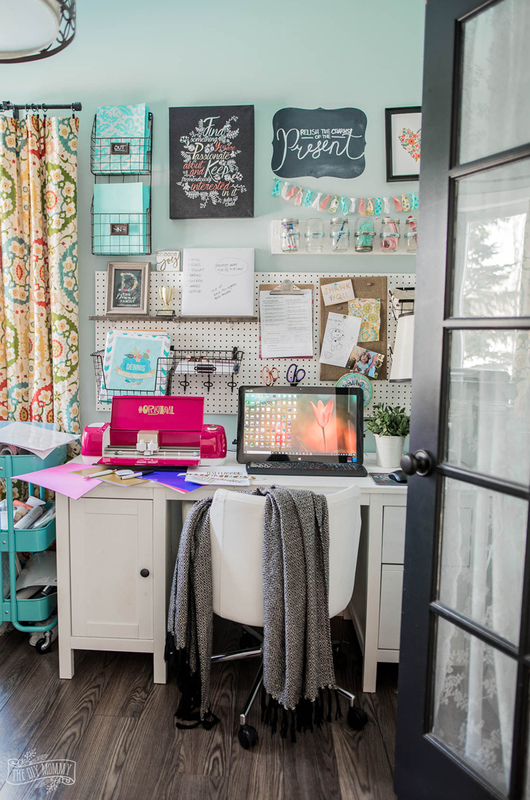 I really love how this vibrant pink machine looks in my craft room. 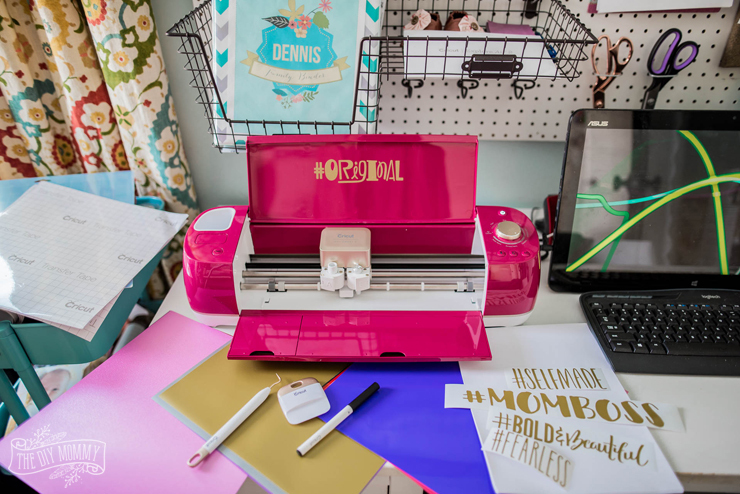 With the bundle comes 5 fun gold vinyl hashtags that you can use to personalize your machine. 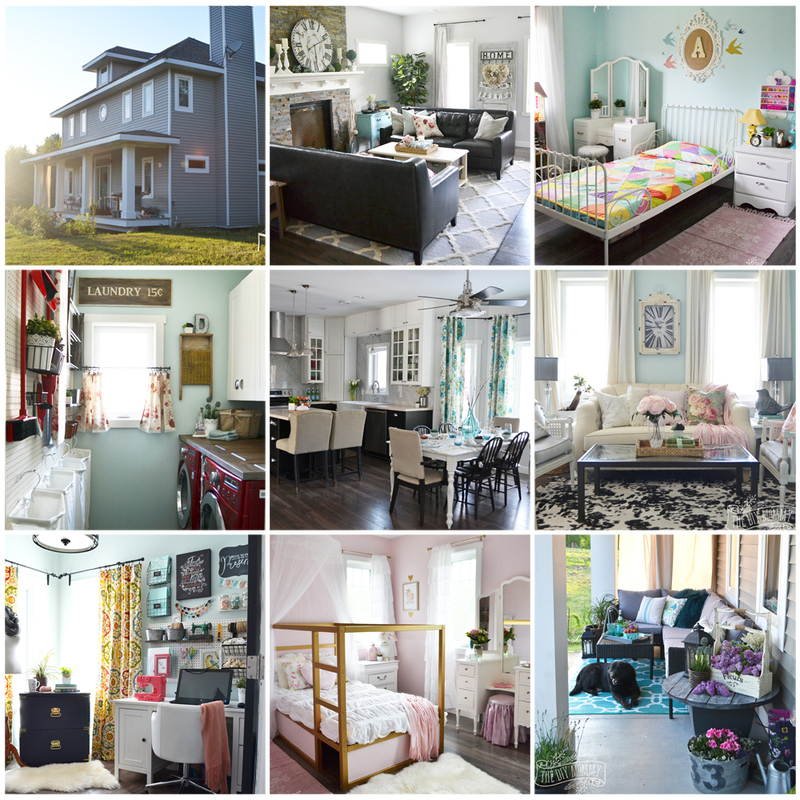 I chose the “#original” hashtag decal because that’s one of the main reasons I love being a DIYer – I can make unique decor and fashion that’s unlike anything anyone else has! 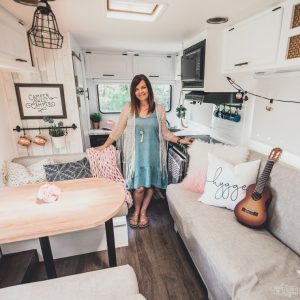 I think the crafting and DIYing as a business is such a bold, fun choice and the new Wild Rose Air 2 celebrates it. 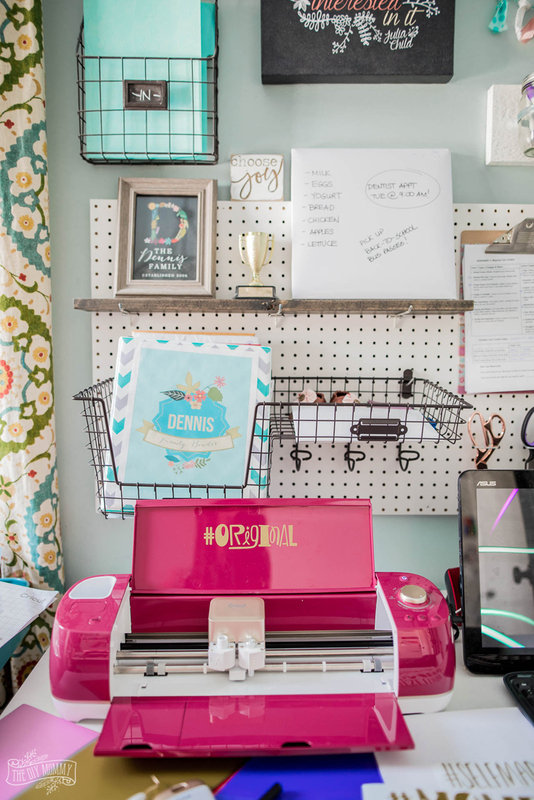 If you pick one up at your JOANN store, make sure to decorate it with YOUR favourite hashtag decal, take a photo, and share it on social media telling the world what kind of creator you are and why! Use the hashtag #CricutWildRose and join the community of creators. 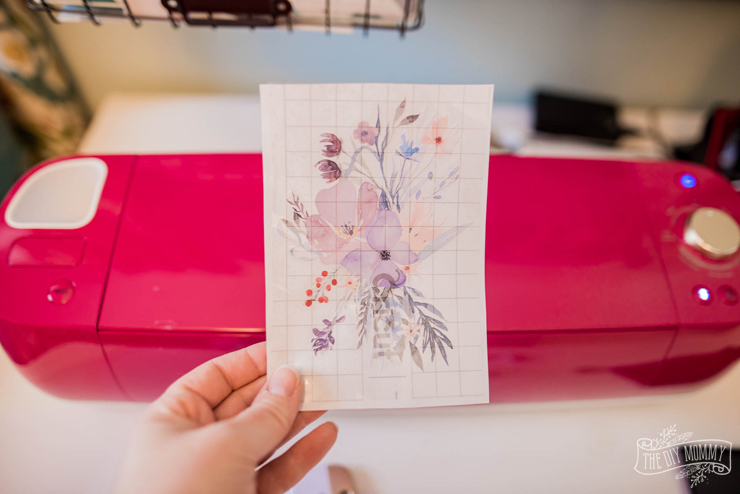 I can’t wait to try all of the materials that came with my Cricut® Explore Air™ 2, Wild Rose Edition, but I first wanted to try my hand at using the printable vinyl sheets that came in the bundle. I’ve always wanted to try a print & cut design with my Cricut! 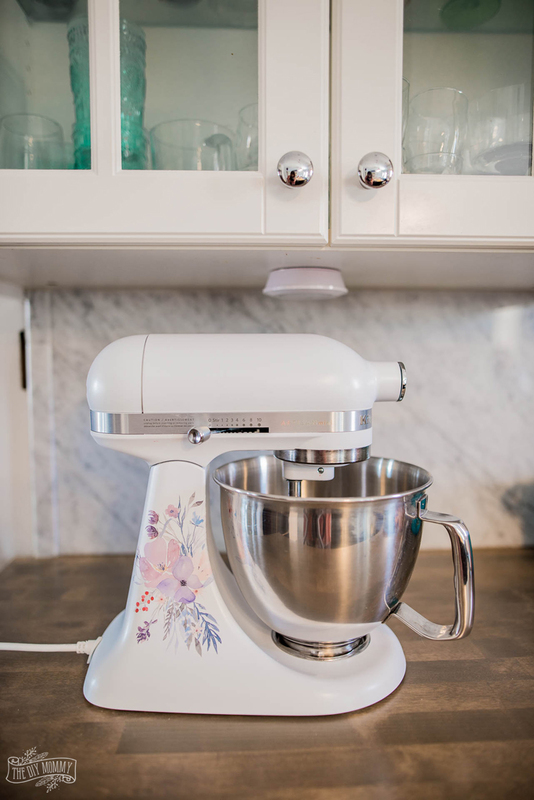 My plain white stand mixer was the perfect victim. 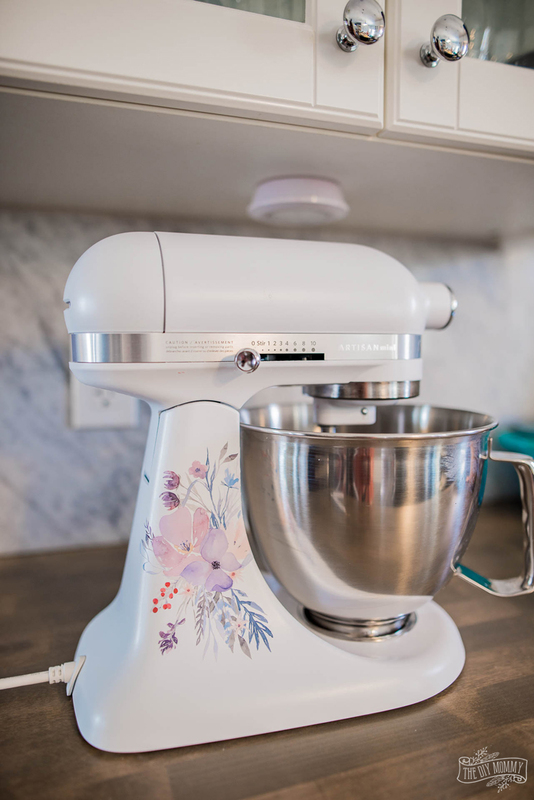 I wanted to incorporate the colours that I love this season – purples and greens – with flowers and watercolour to embellish my mixer for the season. 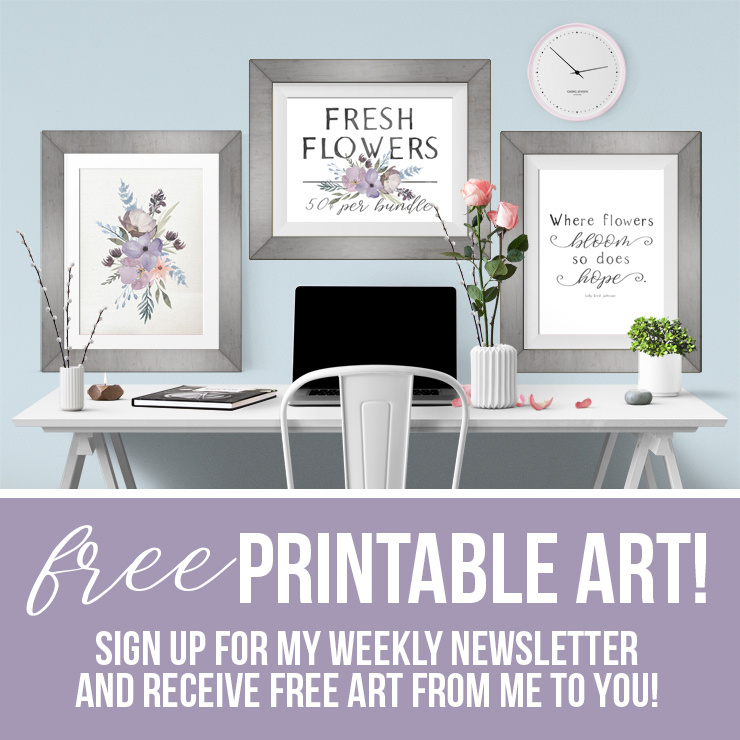 First, I found a watercolour floral graphic that I loved (I bought mine off of Creative Market, but you can upload any graphic to Cricut Design Space that you like) and imported it as an image into Cricut Design Space. I saved it as a Print Then Cut Image, imported it into my new project and resized it to fit my mixer, and then clicked “Make It”. Design Space sent it first to my printer. 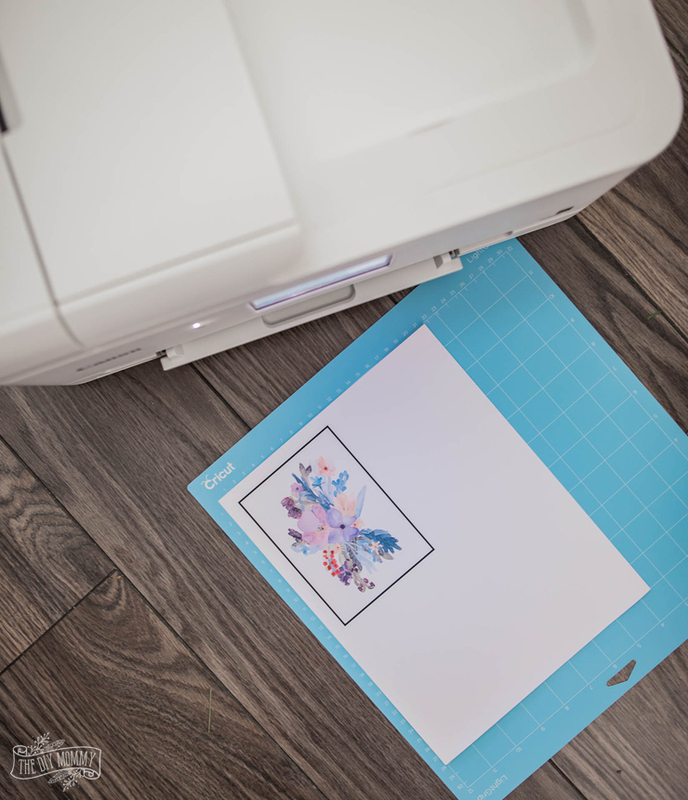 I put the printable vinyl sheet into my printer, printed the image (I chose the “bleed” option so that my colours will go right to the cuts), and then put the printed sheet onto my Cricut mat. Then, I set my Wild Rose Air 2 to the “Vinyl” setting, and let the machine do it’s thing! It’s so cool because the Cricut first deciphers where your printed image is, and then cuts it out perfectly. Next, I weeded out all of the extra vinyl with my Cricut tools. This was a rather intricate image so it was challenging, but I’m so happy with the result. I put some transfer tape over the decal and it was ready to apply. I chose to make a decal that would wrap around my machine, so after I removed the backing of my vinyl, I had to careful spread the decal around the curves of my mixer. After it was pressed down onto my mixer, I pulled off the transfer tape, and… voila! 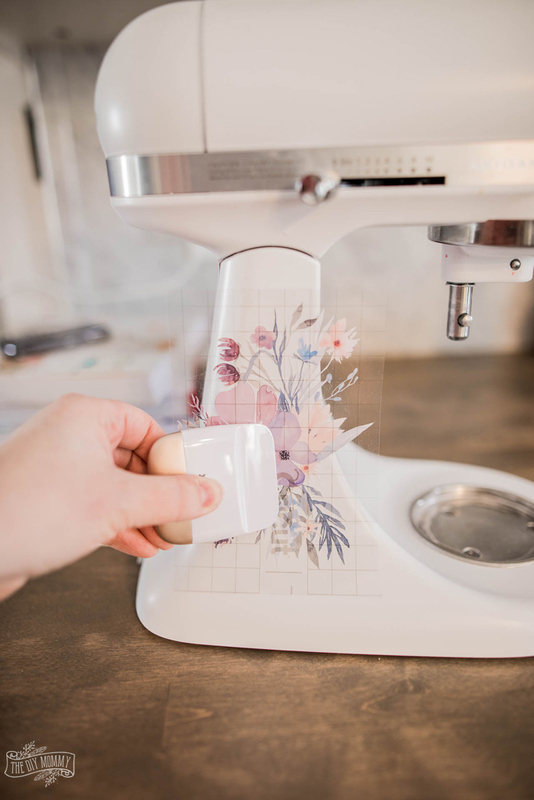 My stand mixer is now ready for Spring with its beautiful new watercolour decal made with my new Cricut® Explore Air™ 2, Wild Rose Edition. I love the look, and if I ever get tired of it I can easily remove the decal and make another! 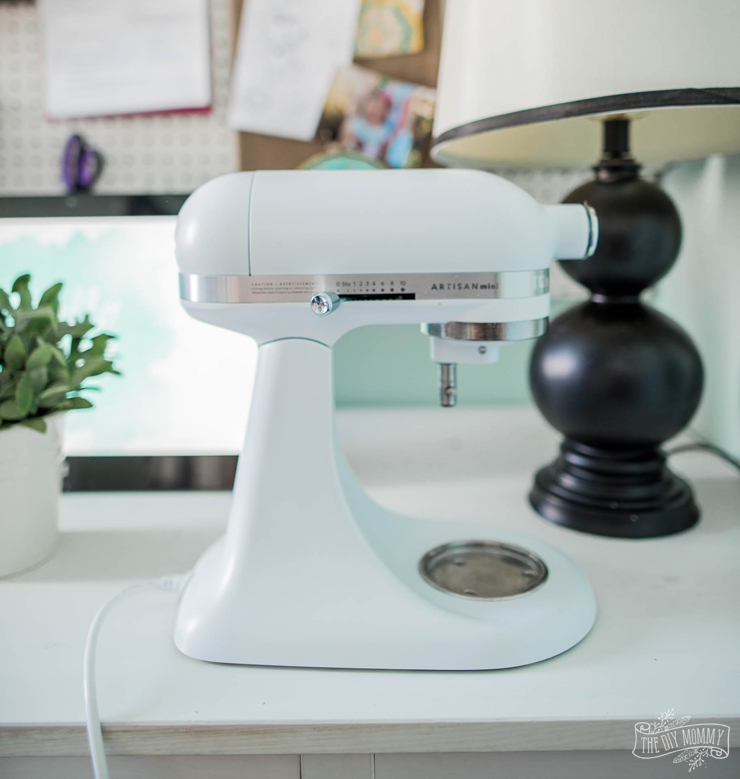 Now tell me: What would YOU make with the new Wild Rose Air 2 bundle?! 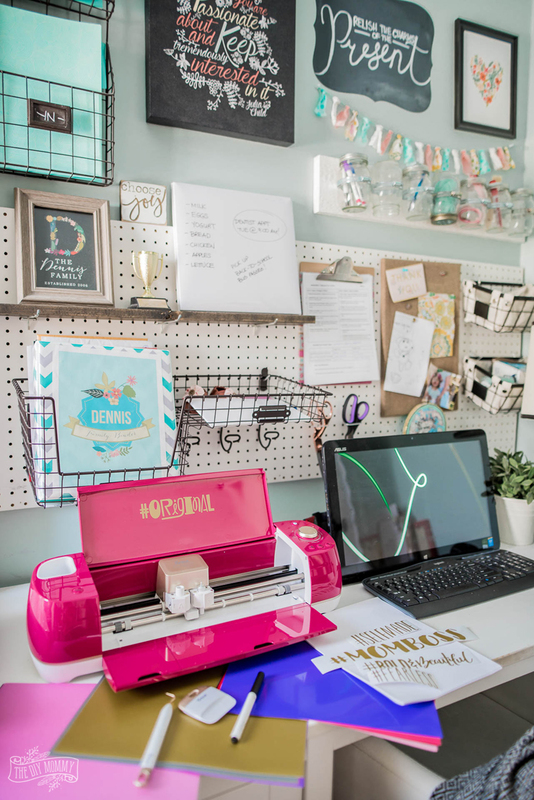 You can buy the Cricut® Explore Air™ 2, Wild Rose Edition bundle at JOANN right here. I haven’t tried the print feature. Does it work with any printer? I was wondering the same thing. What printer are you using? Do you have a link? This is absolutely beautiful. 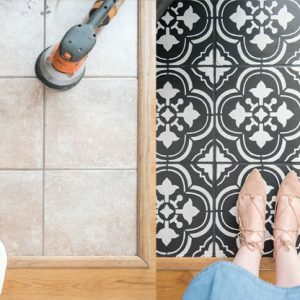 I’ve often wanted to try the print and cut vinyl. My concern is I have a laser color printer and most print and cut vinyl don’t work in that. Can you tell me if you used a inkjet or a laser printer? What a gorgeous image and a great idea. I have a black matte Cricut Air Explore Air 2. I’m still learning Design Space. Thanks for sharing this tutorial. This turned out so beautiful! Such a genius idea!